Thursday, Sep. 13, 2018, 12 – 1 p.m. 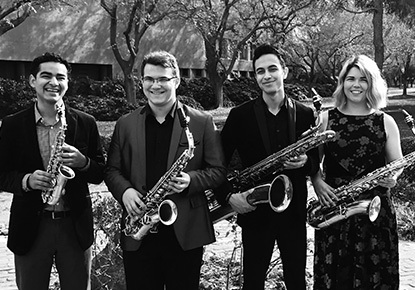 The Seattle Public Library and the Ladies Musical Club of Seattle proudly present a special FREE concert by the Zelos Quartet, an exceptional saxophone quartet from California. Winners of the 2018 Frances Walton Competition, the versatile and engaging Zelos Quartet has a beautiful sound and a repertoire that includes everything from Bach transcriptions to recently composed pieces. Don't miss this dynamic group!